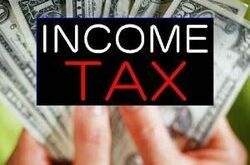 Income from house property is taxable in the hands of its legal owner in whose name the property stands. „Owner‟ for this purpose means a person who can exercise the rights of the owner not on behalf of the owner but in his own right. A person entitled to receive income from a property in his own right is to be treated as its owner, even if no registered document is executed in his name. Standard Deduction: The assessee shall be allowed a standard deduction of a sum equal to 30% of the net annual value. Interest on Borrowed Capital : Where the property has been acquired, constructed, repaired, renewed or reconstructed with borrowed capital, the amount of any interest payable on such capital is allowed as a deduction.